Afrenchtranslation offers French translation and copywriting services to individual as well as corporate clients. We translate Dutch or English documents into an accurate and idiomatically correct French equivalent. We use CAT (computer-assisted translation) tools and on-line terminology to ensure consistency and accuracy. Afrenchtranslation makes sure your message comes across clearly and accurately in French.  Afrenchtranslation is run by freelance translator Aude Pols. She is bilingual Dutch-French, a qualified sworn translator and has been working as a freelancer since 1998. Aude received French schooling from native speakers in an international environment. She then studied and worked successively in Belgium (Brussels), the UK and the Netherlands. French is the target language she translates into. Regular visits to France, friends and family, books, newspapers, the Web, radio and television all help her keep in tune linguistically. And thanks to a BA in English and European Literature and an MA in Technical and Specialised Translation passed in the UK, English has become the second source language, next to Dutch, from which she translates. Aude was sworn in at the District Court of Amsterdam on November 12, 2012, and listed in the Dutch Register of Sworn Interpreters and Translators on November 23, 2012 and March 29, 2017, under number 4940. Please find below the list of permanent education activities and courses registered on www.bureauwbtv.nl. BUILDING BRIDGES AND PUSHING BOUNDARIES.